Depending on weather, you'll need a hoodie and long pants or a bathingsuit, sunglasses and a hat so check the weather! Bring beach accessories like a towel, water, sunscreen, hat and sunglasses. With sandsculpting we'll be kneeling and squating and carrying buckets of sand and water so be prepared for some lifting, digging and bucket-carrying. What we build depends on the instructor, conditions and your creativity. 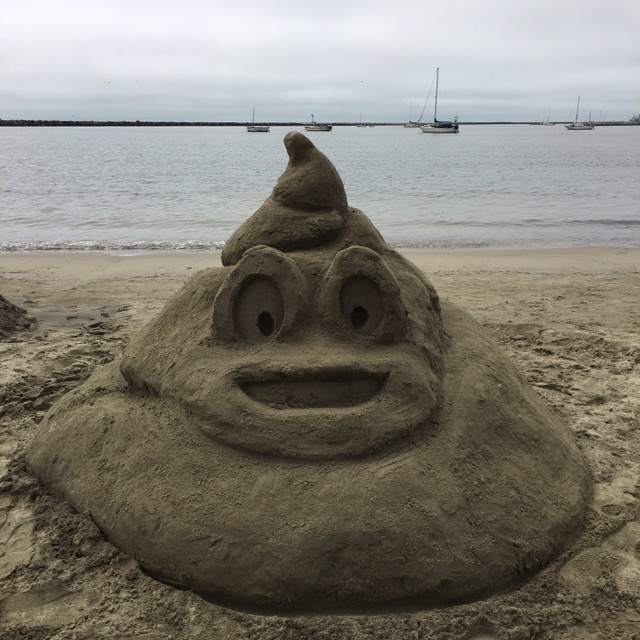 Everything from ornate mermaids and turtles to abstract art and the "poo" emoji have been built! You'll have all the tools needed to build your art piece. Our instructors are experienced, fun and friendly. YOU are creative even if you don't know it yet! Our guides will help you build something fantastic so don't worry about it, just come and enjoy yourself!